This project consisted of a building addition to house spray room modifications. The modifications cool, heat, and humidify the air using a series of water spray banks and mist eliminators to condition outside air and re-circulated air. The quality of the malt produced is a direct result of the moisture and temperature of the product throughout processing. Extra effort was taken to ensure complete temperature control. 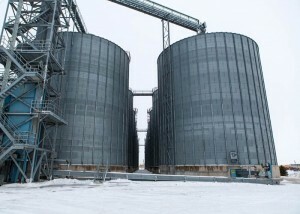 A key design challenge was allowing the malt plant to remain continuously in operation throughout the winter construction period.